To be successful it's important to be very good at your trade, but to build a thriving business in a competitive industry requires a completely different set of skills. Founder of CEO Warrior and co-owner of $23 million dollar residential service business, Gold Medal Service, Mike Agugliaro will be a keynote speaker at this year’s Success Summit, September 30 – October 2 in Indianapolis. Agugliaro’s presentation, scheduled for Friday, October 2, will include strategies for home-service business owners to improve their performance and business growth. Like many service business owners, Agugliaro spent years working up to 18 hours a day in his truck and wasn’t getting the results he wanted or needed. With a revised leadership strategy, Agugliaro and his business partner grew their less than $1 million business into a $23 million dollar home service empire with 150 employees serving more than 100,000 customers. He turned those strategies into his business coaching business, CEO Warrior, and has since authored three books, published Home ServiceMAX magazine, and hosts a weekly podcast series, teleseminars and regular coaching events. The Success Summit is for Aeroseal dealers and Comfort Institute members looking for better ways to connect with customers, grow their businesses and increase their income. The event, to be held at the Indianapolis Marriott Downtown, will include general sessions, breakout sessions to deal with more specific topics, and a vendor expo. For more information about Success Summit, visit the event registration page. 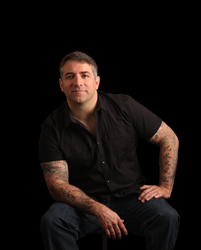 For more information about Mike Agugliaro, visit http://www.CEOWARRIOR.com.